Recently, to mark the International Day of Peace last September 21, we introduced you to Julia Grace Wales, champion for peace. Today, we present Thérèse Casgrain. 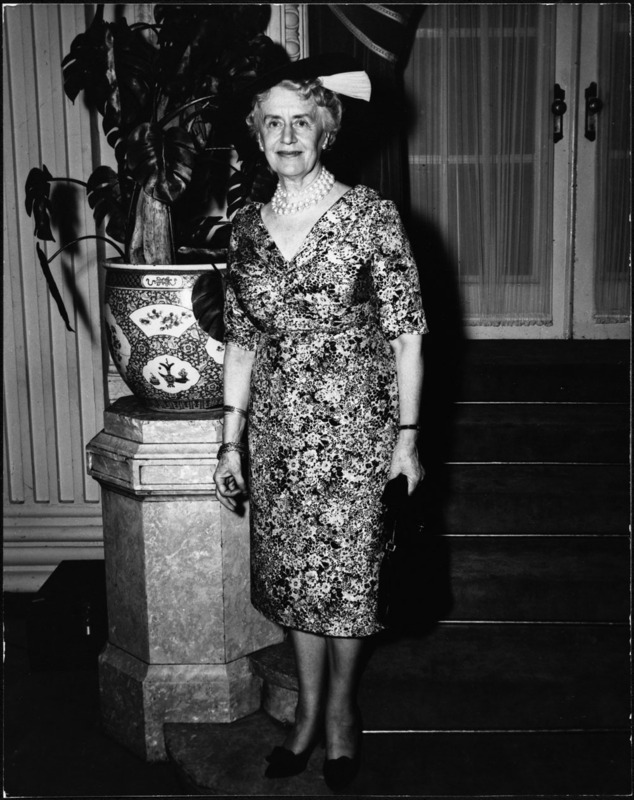 In the 1950s, Thérèse Casgrain became the first woman to be elected to the leadership of a political party in Canada. She was a fierce activist for women’s rights her entire life, and for two decades campaigned to obtain for Quebec women the right to vote in the provincial elections. Throughout her career, she also worked to correct many social injustices, to say nothing of the significant role she played in the promotion of peace. To that end, in 1961, she founded the Quebec chapter of the Voice of Women (Voix des femmes), an organization devoted to world peace—of which she became president the following year. The fonds also comprises photographs, including many that are digitized. Not all the material in this fonds is digitized, but the titles of the various files may be consulted using our online research tool [PDF]. Remember: Not all our material is digitized and accessible online. For more information, read our post How to Consult Material that Is Not Yet Available Online. September 21 is recognized as International Day of Peace. To celebrate this event, our blog will feature Canadian women who played a key role in the international peace movement, as documented in the collections of Library and Archives Canada (LAC). We will begin by presenting Julia Grace Wales, who played a key role in promoting peace during the First World War, an unusual role for a woman at this time in history. LAC holds the Julia Grace Wales fonds. Born in the Eastern Townships of Quebec in 1881, Wales was an academic who pursued her studies first at McGill University in Montreal, and later at the University of Wisconsin in Madison, where she taught English literature. Horrified by the news reports of the brutal struggle under way in Europe, Wales responded by proposing a plan to end the fighting. Wisconsin Plan. This plan proposed that the United States organize a conference composed of intellectuals from all neutral nations to act as mediators. These individuals would propose solutions that incorporated not only their own ideas, but those of warring nations. The work of Wales was immediately endorsed by the newly formed Wisconsin Peace Party. State officials around the United States also supported it. The National Peace Party was so impressed that it sent a delegation to Washington to present the idea to President Woodrow Wilson and Congress. In Europe, Wales presented the plan to the International Congress of Women, whose members unanimously selected it as the solution to the war. They had it printed in four languages and distributed throughout Europe and North America. By 1916, however, the peace movement began to decline and, despite the efforts of influential citizens like industrialist Henry Ford and leading pacifists, the plan never gained official support from the American government. The entry of the United States into the war in 1917 essentially meant that the mediation plan of Julia Grace Wales was no longer up for discussion. 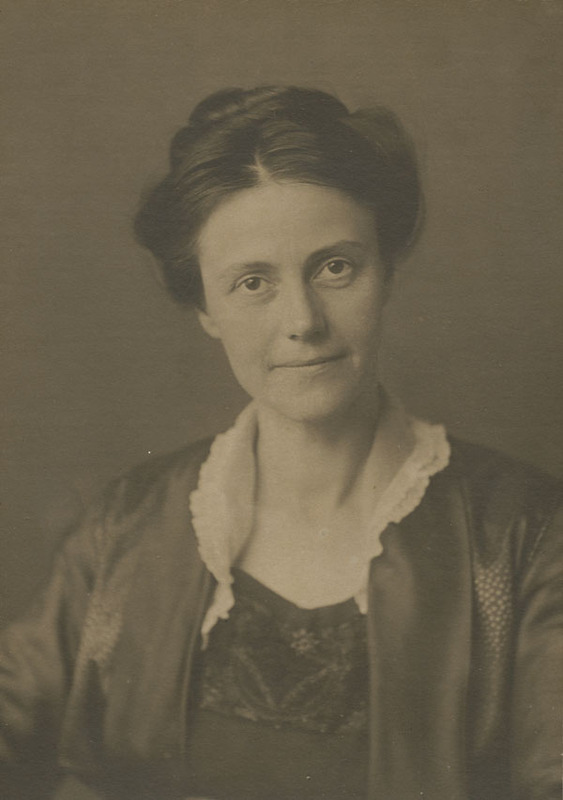 After returning from Europe in 1917, Wales continued with her academic career, but always maintained an interest in the peace movement. She published articles on the subject, as well as one book. She returned to Quebec in 1947 to retire, and died there in 1957. For more information, consult the digitized copies of the writing of Julia Grace Wales and other images in our Flickr set or consult her fonds. Please remember that not all of our material is available online. To learn more, consult the article How to Consult Material that Is Not Yet Available Online.